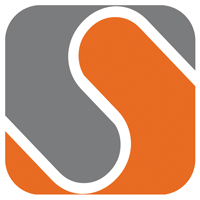 At Sephone we strive to provide the best user experiences possible for all of our applications and products. Please don't hesitate to provide us with concerns, feedback, or suggestions using this form. We suggest using this form for sites that have been launched and are in active use. For sites in development, you may find your Sephone contact person, project leader, or support@sephone.com to be more effective options. If you aren't able to access your site, please check the status dashboard for known issues before continuing. We do our best to maintain a speedy response time for all support tickets. Upon submission you will receive an email acknowledgement that your ticket was received, to the email address provided. A member of the Sephone team will be in touch within 1 business day after receiving your submission. If you need a new email account created, an account deleted, a password changed, or a vacation message added, please use our Client Email Request form. Your Phone - - x If we need to contact you by phone, we will try this number. If you prefer not to be contacted by phone, leave these boxes blank. We'll also need to know a little about what this request affects. What site does this affect? Enter the domain for this request. For web sites, this would be in the form of www.sephone.com. For e-mail, enter the part of the e-mail address after the @ sign. What type of request is this? Just a suggestion. Could you take a look at this sometime? This has been bugging me and I'd like it done. I need this done fairly quickly. I can't do anything until this is done! Please be as specific as possible, including the text of any error messages, what you were doing when this happened, etc. What kind of response would you prefer? I'd just like this done, please! I'd like to know what happened (in English, not tech-speak). I'm a pretty tech-savvy person, and I'd like a technical explanation. Authentication failed. Authentication failed. Authentication failed. Authentication failed.